Almighty ever-living God, constantly accomplish the Paschal Mystery within us, that those you were pleased to make new in Holy Baptism may, under your protective care, bear much fruit and come to the joys of life eternal. Through our Lord Jesus Christ, your Son, who lives and reigns with you in the unity of the Holy Spirit, one God, for ever and ever. I am the vine, you are the branches. Whoever remains in me and I in him will bear much fruit, because without me you can do nothing. Anyone who does not remain in me will be thrown out like a branch and wither; people will gather them and throw them into a fire and they will be burned. If you remain in me and my words remain in you, ask for whatever you want and it will be done for you (Jn 15:5-7). Today is the Feast of St. Catherine of Siena which is superseded by the Sunday Liturgy. The first reading taken from the the Acts of the Apostles 9:26-31 is about St. Paul's first visit to Jerusalem after his conversion. The second reading is from the first Letter of John 3:18-24. In today's verses the Beloved Disciple is urging his readers to believe firmly in Jesus Christ the Son of God, and to love their neighbor with a practical love, a love which will help him in his corporal and spiritual needs. The Gospel is from St. John 15:1-8. The words of consolation and encouragement which our Lord spoke to his Apostles on Holy Thursday night were intended to console and encourage all his followers for all time. They encourage and console us today, and we need encouragement to persevere on the road to heaven. Living a truly Christian life is never easy. We have always the attraction of the world, and the temptations by the agents of evil, to make that life less easy still. But in our own day these difficulties have increased a hundredfold. The attractions of this world have been multiplied by the increased comforts, pleasures and means of self-indulgence which science and technology have put within our reach. Human nature, always inclined to choose the easiest way out, has been given so many means of escape from the strain of self-control that even for a fervent Christian it is frequently very difficult to avoid these worldly allurements. Having the ordinary comforts of life and the possession of some of this world's goods is not wrong or anti-Christian, but the natural temptation is to get more and more of these comforts and riches, and the point is soon reached where this becomes the only purpose in life. When this sad stage is arrived at, God and our future life are forgotten; this world becomes our idol and our prison. The temptations which the agents of evil put in Christ's way are also multiplied today. The communications media are now very technically improved and perfected and can be, and sometimes are, a means for good. Unfortunately, more frequently, they are the channels of bad example. The evil deeds of men have more "news value" than their good deeds. And it is so much easier to follow the bad example! Permissiveness, rejection of authority, glorification of unlawful sexual indulgence, drug addiction, and other such crimes are placed before the minds and the eyes of the youth of today, and are unfortunately copied by far too many. It is indeed hard to swim against the current; it is so much more pleasant to allow oneself to be carried along without effort by the rushing tide. But when there are rocks and shoals ahead, the thoughtless and ease-seeking swimmer will end in grief. Our Lord has warned us today, as he warned his first followers, to abide in him, to remain closely united with him, as is the branch to the vine, if we hope to bear fruit worthy of heaven. He promises us that if we remain closely united to him, that is, if we strive daily to keep his commandments, he will be ever ready to answer our requests, and to heed all our prayers. The sincere prayer today of every man who is trying to lead a Christian life is for the grace to overcome the allurements of the world, the flesh and the devil. Let us take courage, then. Christ has promised to remain beside us during life if only we stay close to him. While we remain healthy branches of the vine, Christ, we will be on the road to heaven. Our daily tasks, our work as well as our prayer, our recreation as well as our rest, our joys as well as our sorrows, will give glory to God and prove that we are worthy to be called disciples of Christ. 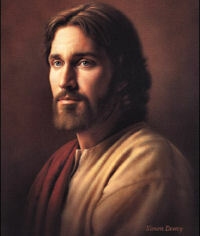 "If I do not go, the Advocate will not come;. . .but if I go, I will send Him to you. . .He will (convince) the world. . .of justice" (Gospel). The Sunday of Justice, interior and social! The Holy Spirit descends upon us with His seven Gifts at our Confirmation (symbolized by the Dove). He puts before us the imitation of Christ's sinless example, since "the prince of this world" had tried to confuse and even destroy the correct ideas of right and wrong. Hence we may now sing "a new canticle," because God "hath revealed His justice" (Introit). The Epistle and Offertory extol the gifts of interior "justice;" the Prayer, evidently referring to social "justice," makes us realize that only God can "make (all) of one will." How do we react in thought and action to this twofold standard of "justice" revealed in the Life of Christ and taught us by the "Spirit of truth"